Paula Chin with her family, January 2018. Facebook photo. 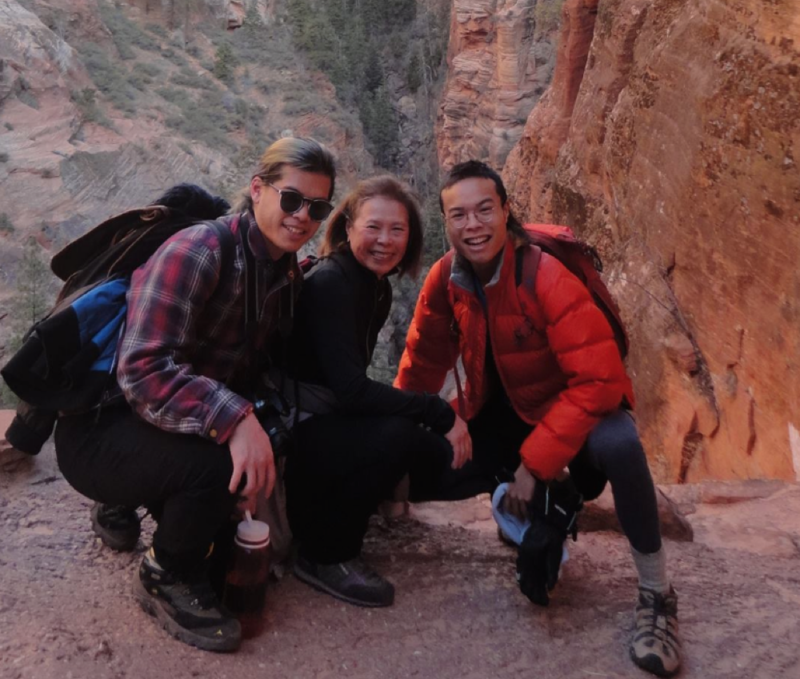 One year ago, Paula Chin was beaming for the camera with her boys, Jared and Brandon Eng, on a hiking vacation out west. On Tuesday, authorities found Chin’s remains in a garbage bin outside her weekend home in Morris Township. Jared Eng, 22, and two friends are charged with stashing them there. Paula Chin and her son, Jared Eng, who has been charged in connection with her killing. Photo via Jared Eng/Instagram. So far, they are accused of concealing a corpse. A criminal complaint in New York alleges Jared Eng admitted killing his mother at her TriBeCa residence on Jan. 31, 2019. Eng’s older brother, Brandon, 25, reported his mother was missing on Monday, according to published reports. After being questioned by police on Wednesday, Jared Eng was asked by reporters if he committed the murder. “I did not. I loved her. She gave me everything,” he said. Chin, 65, died from a stab wound to the neck and blunt impact injuries to the head, the New York City Chief Medical Examiner’s office has determined. It took her “a while to die,” Jared Eng told fellow defendant, Caitlyn O’Rourke, 21, of Patterson, NY, in a call to her mobile phone, according to the criminal complaint. News accounts have suggested Jared Eng and his mother had quarreled over money and she attempted to throw him out of her Vestry Street apartment. In a jailhouse interview on Friday, Jared Eng again denied the killing, telling the New York Post he had argued with his mother about seeking help for her declining health–not about disposition of her fortune, which he estimated at $10- or $11 million. Jared and Brandon Eng are entitled to their share of the family’s estate when they turn 35, according to the will of their late father, Philip Eng, who died in 2008. Their mother was trustee of the estate. Jared Eng and O’Rourke have been students at SUNY New Paltz, according to their Facebook pages. 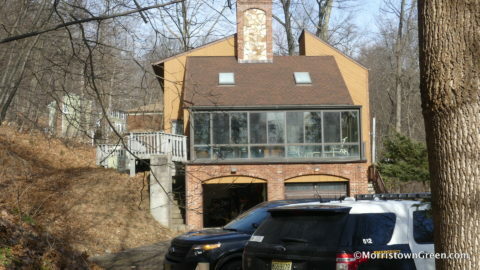 The other defendant, Jennifer Lopez, 18, of New York, drove Jared Eng in his mother’s 2004 Toyota Land Cruiser from the TriBeCa apartment to the Bailey Hollow Road home in Morris Township in the early hours of Jan. 31, and again on the afternoon of Feb. 1, Jared Eng told investigators, according to the complaint. Video surveillance from Vestry Street showed someone resembling Lopez backing the vehicle in and out of a parking space early on Jan. 31. At 2:31 a.m., video showed an individual placing a “duffel bag-like container” into the trunk. “It’s all clean, the hardest part was backing up the car,” Lopez allegedly told O’Rourke via phone. O’Rourke allegedly admitted helping the other two transfer Chin’s body, “which was stuffed in a garbage bag,” to an outside garbage container at the Morris County residence on Feb. 1. The three also brought clothes from Chin’s apartment to Bailey Hollow Road and laundered them in the victim’s washing machine. Jared Eng “added the laundry detergent,” the complaint states. Duct tape, which matched tape recovered from the vehicle’s trunk; bloody rubber gloves in the garbage; and swabs of blood stains on the garage floor, according to the complaint. In the Vestry Street apartment, investigators reported observing rubber gloves like the ones found in New Jersey. Forensic techniques also indicated bloodstains, authorities said. Jared Eng was being held without bail. Bail was set at $100,000 for Lopez and $50,000 for O’Rourke. “Creative consultant, media enthusiast, gamer, cat dad” is how Jared Eng describes himself on Instagram. He attended Brooklyn Technical High School and studied at Hunter College prior to SUNY, according to his Facebook page. “I’m an adult now? ?” he asked last October, posing with a camera. In the Post interview at Riker’s Island, Jared Eng said he argued with his mother on Jan. 30, urging her to see a doctor about her arthritis, difficulties walking and possible early symptoms of Alzheimer’s disease. He expressed concerns for his brother’s safety and said they together reporter their mother was missing, according to the story. He also acknowledged suicidal thoughts, and voiced doubts about his own role in the crime. Terming himself “gender fluid” and polyamorous, Jared Eng described O’Rourke and Lopez as his “girlfriends,” and he considered his mother generous, the article reported. Although Chin and her late husband purchased their Morris Township home in 1983, neighbors on Bailey Hollow Road said they seldom saw her. But neighbor Mark Abbott recalled Chin as a petite, friendly woman. “She always had a very big smile on her face, and asked ‘How are you doing,’” Abbott told Morristown Green. Chin’s Facebook page celebrated an active life in New York. There were soirees at the Sunset Room. Hudson River Park Galas. Mixers at the Museum of Chinese in America. Five Boro bike rides. She enjoyed traveling, too–touring the Grand Canyon, sporting a cowboy hat in Santa Fe, hot air ballooning in Turkey… and visiting Zion National Park with her boys. This story was updated to include additional media reports, and information from the family’s will.